We have two offices on the Fal estuary – Ancasta Falmouth based at Premier Marina’s 500 berth marina (a short walk from the town of Falmouth) and Ancasta Mylor at Mylor Yacht Harbour which was originally the most westerly Naval Dockyard and victualling station in England but is now a little quieter with 400 prime marina berths. Falmouth’s natural harbour is the third largest deep-water harbour in the world, the traditional gateway to the Atlantic and one of the world’s great sailing locations. Falmouth’s maritime tradition is regularly celebrated through regattas and festivals. The clear waters, sheltered creeks and mild temperatures of the Fal estuary provide fine natural oyster beds which sustain Europe’s last remaining oyster fisheries still dredging under sail. This is a designated area of outstanding natural beauty yet Falmouth is also a working port with big ships arriving for fuel or refit and the home of Pendennis Shipyard, builders of custom super yachts. The Fal estuary is a mixture of stunning beaches, open water and working docks giving Falmouth unique balance of work and play. Lagoon 421 - Ref 33450 has been saved to your account. Lagoon 40 - Ref 33062 has been saved to your account. Moody CARBINEER - Ref 33640 has been saved to your account. Moody Lancer 42 - Ref 32863 has been saved to your account. Following a successful career as an Estate Agent (most recently with a local firm specialising in waterfront property) Charlie joined Ancasta in 2016. Before he pursued a career in sales, Charlie worked locally and abroad as a senior RYA Sailing Instructor. Having been bought up around boats, the sea has always played a major part of his life. Racing on the Topper and Laser circuits from an early age, Charlie now races on a Reflex 38 in the local IRC fleet and on a B14 skiff and is also a keen windsurfer and surfer. Charlie also has a keen interest in power boats and Lagoon sailing catamarans. 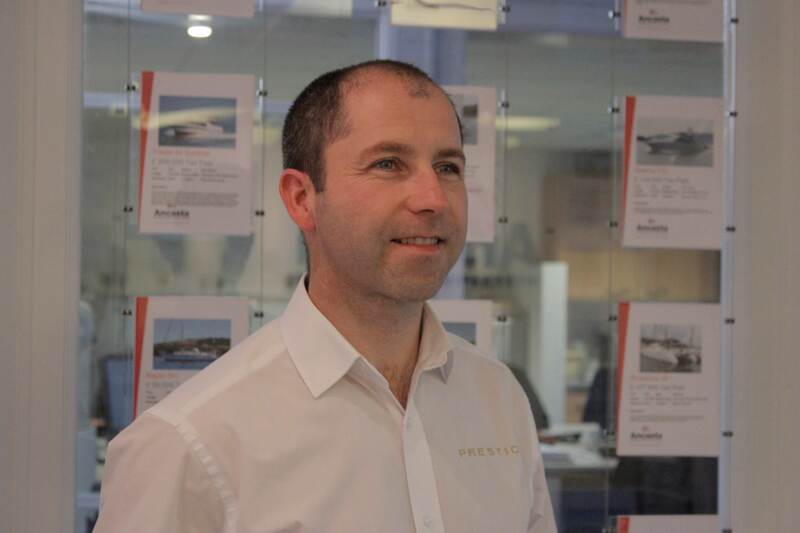 Lee Ball is a senior broker who joined “team Cornwall” at our office in Mylor in 2010 but actually his connection to Mylor Yacht Harbour started when it was the home for his father’s power boat. Lee has a passion for power having previously enjoyed a successful career in the motor trade. He used to race bikes, annually attends the Le Mans 24 hour race and is a product specialist for our Prestige and Beneteau power brands. However Lee also loves sailing and is a member of Restronguet sailing club where he sails a Laser (sometimes the right way up) and has become an integral part of the boating community in and around Mylor and Falmouth.